The owners of this home utilized the expertise of decorator Glen Yetman to put together an incredibly beautiful look. 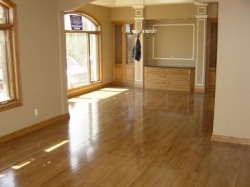 The home features the soft and luxurious Blue Ridge Home carpets as well as hardwood. 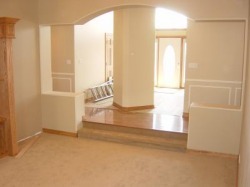 View of living room area into dining room. Stairs finished the M&P Flooring way.